Space and Light in Haverhill. When a young Haverhill couple approached the Cambridge Conservatory Centre, they were feeling cramped in their brick and tile home. 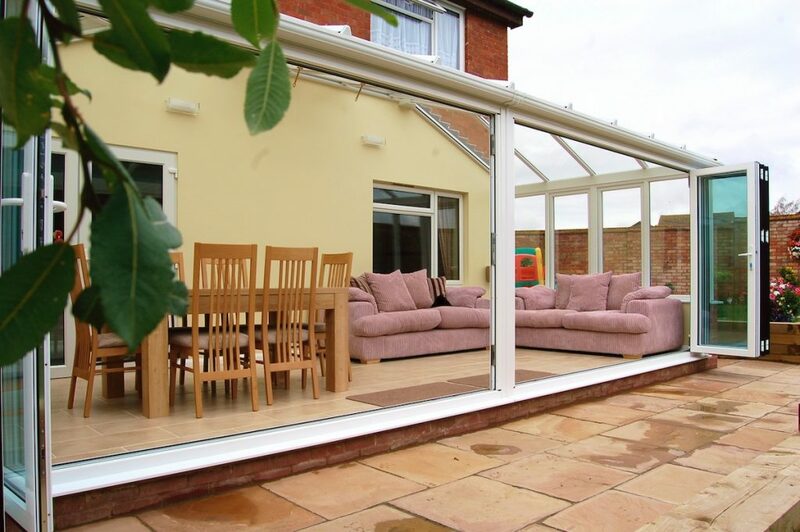 With a growing family, they were keen to extend their living and dining spaces with a light bright conservatory that would allow the children to flow in and out of the home with ease. In full consultation with the owners, we designed and built a 7m x 3.5m lean to conservatory that spanned the entire width of the back of the house. 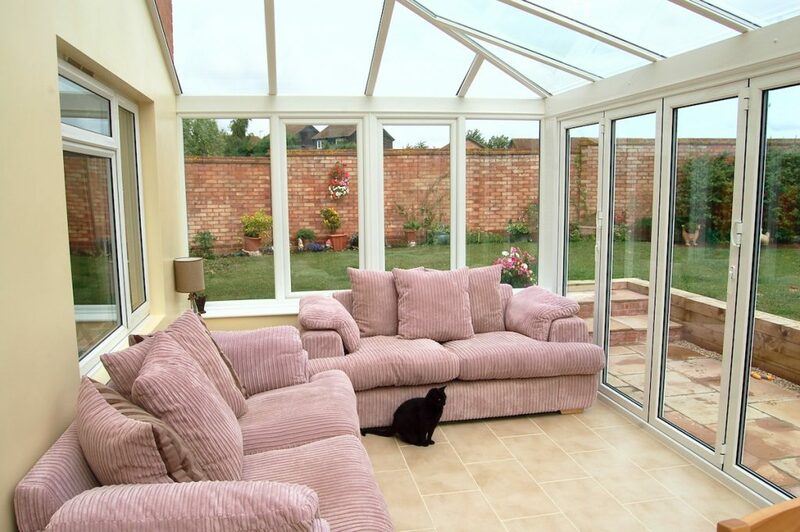 With bi-folding doors and two roof windows, this stunning conservatory has the flexibility to adapt to the changeable British weather for year round enjoyment and has transformed the way this Haverhill family lives in their home. 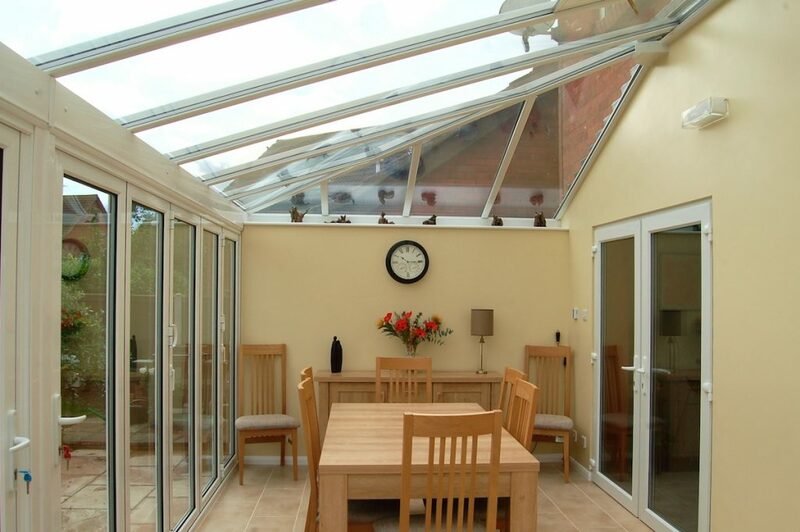 At one end of the new conservatory a fabulous dining space was created. Double doors from the kitchen open fully to seamlessly connect the conservatory to the main part of the house allowing this Haverhill family to not only eat together but also to entertain their friends and family with ease. At the other end there is space for the whole family (including the cat) to relax and enjoy not only their light filled space, but also the garden beyond. A perfect space to snuggle up with a book and a cuppa on a drizzly grey day. And on sunny days, bi-folding doors allow the entire back of the house to open up blurring the lines between home and garden and providing a wonderful connection with the garden for both the family and their guests. Birthday’s, barbecues and special occasions are now a joy to host as there is space for everyone to mingle no matter what the weather. 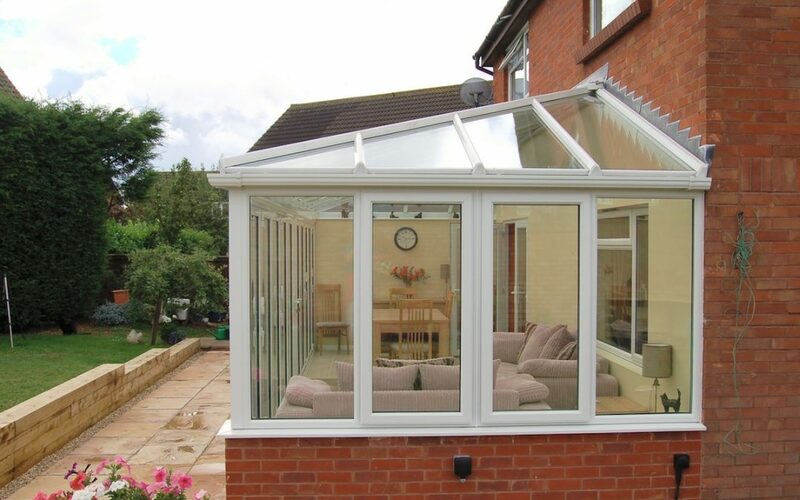 The space and light this conservatory has added has delivered the perfect solution to this family’s initial dilemma and give them a house they not only enjoy, but are truly proud to call home.